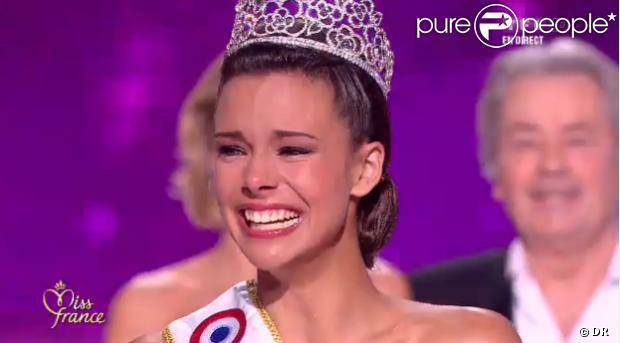 Miss Bourgogne, Marine Lorphelin was crowned as the new Miss France 2013 during an event held at the Zenith of Limoges (capital of Haute-Vienne) on December 8, 2012 in front of an audience of more than four thousand people. 19 year old Marine stands 1.77m tall. She will compete in Miss Universe and Miss World 2013 contests next year. 33 lovely women competed during the live telecast. Finished as the 1st run-up was Hinarani de Longeaux (Tahiti). 2nd run-up Sophie Garenaux (Nord-Pas-de-Calais). And 3rd run-up was Camille Rene (Martinique). Melinda Pare (Pays de Loire), Julie Jacquot (Rhone-Alpes) and Charlotte Mint (Cote d'Azur) emerged as the 4th, 5th and 6th runners-up respectively. Completing the 12 semi-finalists were Deborah Trichet (Champagne-Ardenne), Marine Mahiques (Provence), Emilie Mika (Picardie), Estelle Sabathier (Bretagne) and Marilou Cubaynes (Roussillon). The event was broadcasted live via TF1 and hosted by Jean-Pierre Foucault and former Miss France Sylvie Tellier. The panel of celebrity judges includes screen legend Alain Delon, Mireille Darc, former model Adriana Karembeu, Nikos Aliagas, Miss France 2006 Alexandra Rosenfeld, Olympic swimmer Camille Muffat, and Frederic Diefenthal.